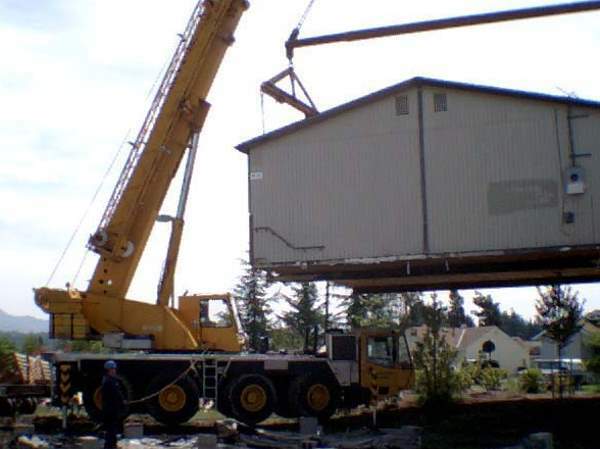 Whatcom House Movers has been relocating houses and structures in Bellingham, Whatcom, Skagit, San Juan and Island Counties in Washington State since 1982 and has moved and raised hundreds of homes, buildings and structures of all sizes and shapes. 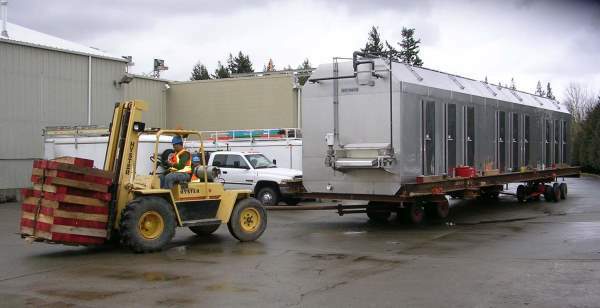 We thoroughly engineer the logistics of the project and have a crew of highly skilled structural movers to do the actual moving and raising of buildings or structures. 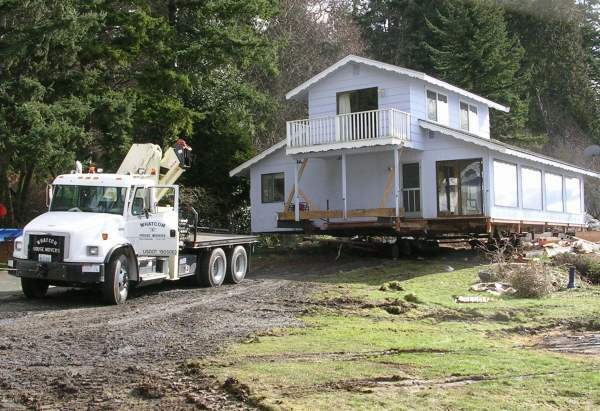 Whatcom House Movers has the reputation, expertise and bonding necessary to complete jobs in a safe and timely manner. 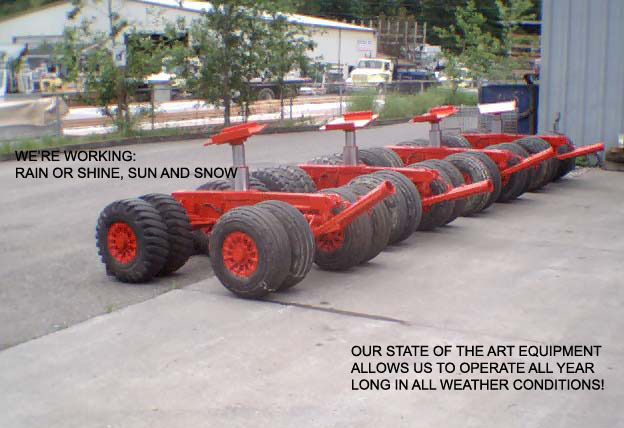 We also have the capability to install concrete foundations. 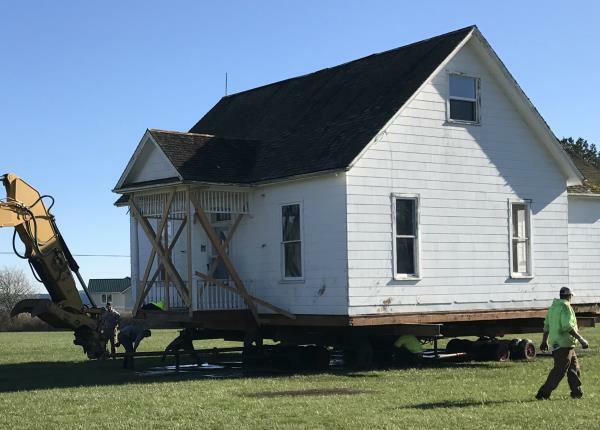 We have moved numerous homes, barns, commercial buildings, boats and all sorts of oversized objects - usually with an audience gathered around. 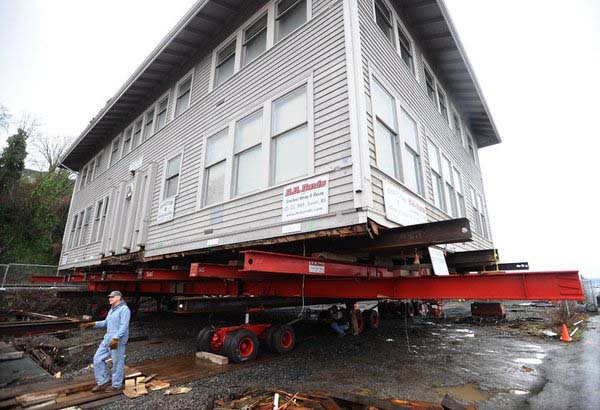 Whatcom House Movers is capable of handling the toughest moving or raising jobs and ensuring that our customers are more than satisfied with the experience and outcome. The Nielsen Brothers are among our recent satisfied customers. This is the story of their moving project. The Nielsen Building, located close to the shoreline was one of Bellingham’s oldest commercial office buildings built in the downtown area in 1911. Over the last 100 years the ground underneath the building settled considerably, leaving the building with a difference in elevation of 3 feet from the northeast corner to the southwest corner. In 2010, with the building sinking at an alarming rate, the owner was told it was unsafe to work in and something had to be done. Being that this was a historical building, the Nielsen Brothers wanted to save it and bring it back to its original glory the day it was constructed in the early 20th century. 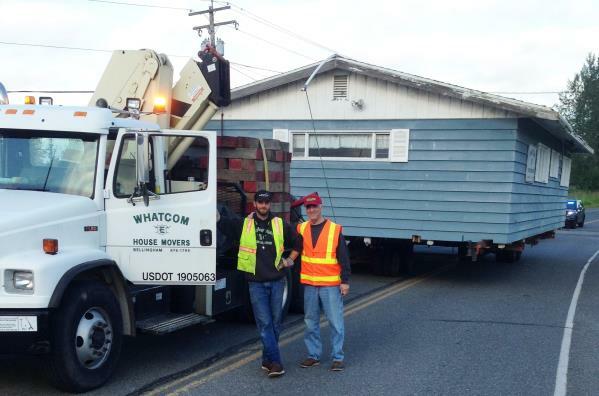 After assessing the scope of the work to be done and due to the extensive size of the project, Whatcom House Movers along with friend and fellow house mover, Del Davis of D.B. 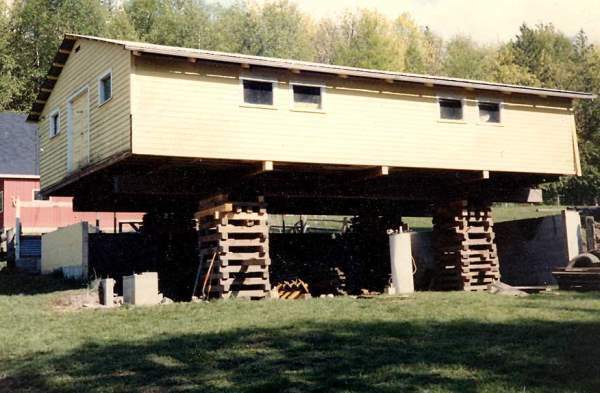 Davis Structural Movers, began the process of raising the building. The initial step was to support the northeast corner of the building, making it safe to be able to work underneath. After the steel beams were placed underneath the building in specified locations, 24 hydraulic jacks were setup to raise the building. 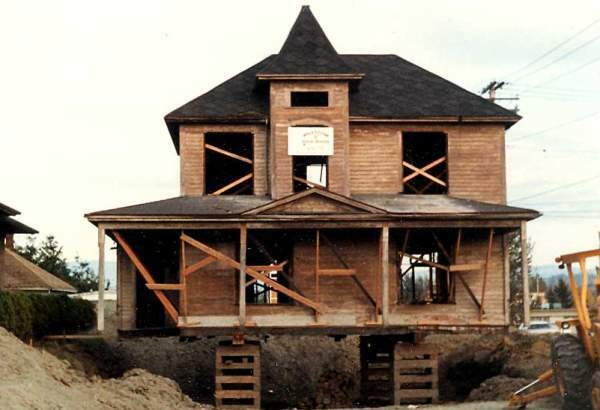 The process of raising went fairly slowly due to the large size and weight of the building. The total weight of the building including the steel used to move it was 270 TONS! 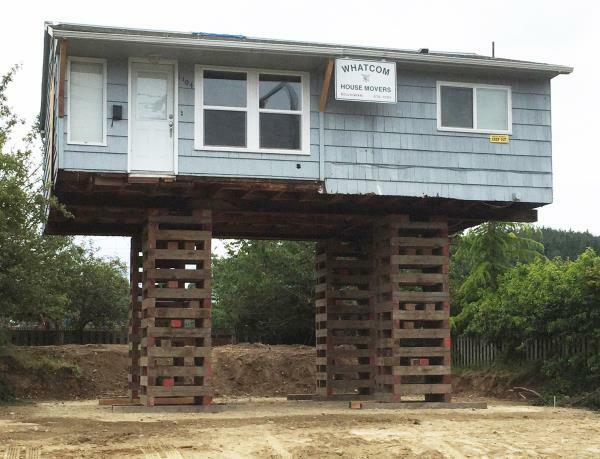 Six - 50 ton Regent Dollies were positioned to drive the building out to a temporary site while new pilings, footings and foundation were built. 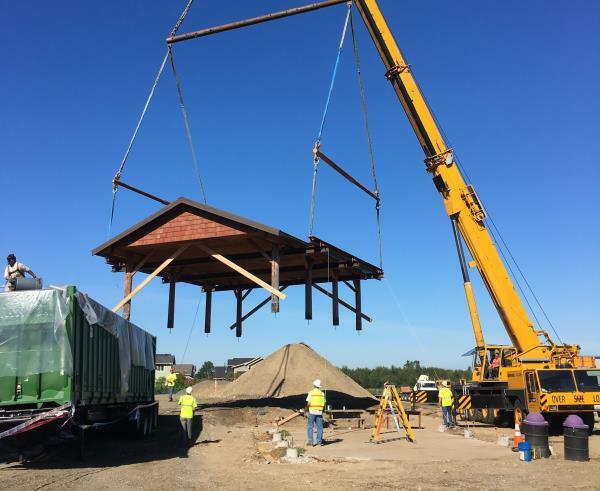 Today the Nielsen Brothers building project is complete, the building has been moved back to its original site, lowered down on its new foundation where it has been remodeled and returned to its original grandeur.